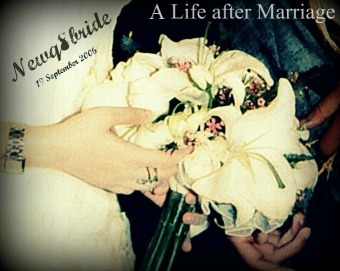 NewQ8Bride : A Life after Marriage: Why ?!?!?!?!? You should try to relax and try to find some positive thoughts! Take a look at you wedding pictures, or go for a coffee with a good friend that understands you, those always helps me! - Don’t worry it’s so normal the way you think about the kids before even having them! You’ll do just fine when they come! I know I didn’t even want any children and I’m doing ok with my daughter! 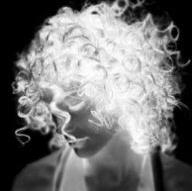 - Every one even me, go through the negative thoughts about the future! If I want to count how many times I thought about what if my man betrays me? And I’m not even the jealous type! So girl try to stop the thoughts as soon as you realize you’re having them, and try to think how much percentage you have of them not happening (if the answer is 50% and up) then don’t worry!!! - I couldn’t tell my mum either, but last Christmas I decided to be strong and do it. So I asked her if we could go out for dinner (just the two of us). And as I looked at her and tried hard to start, she just suddenly said: I’m your mum, not a judge!! Tell me what ever you need to say and I’ll still love you as much! I talked and talked for 2 hours and she listened and said in the end: So that wasn’t so hard, now was it? Hugged and kissed me, and then I realized I’m not a chilled I can have my opinion even if it different that my mum’s! - I was the same as I am the big sis! But after I turned 21 I was with a child, My mum came to me one day and asked why am I doing that and worrying and taking care of my younger sis? I told her but she’s my little sis. She said: Yes your sis! You are not her mother, or are you? I said but she needs me! My mum answered: She’s old enough to find her own way with out you!! Remember, you have 2 people in this whole world that you are responsible about… yourself and your daughter! I think that was my big turning time when I did realize she was right! So sorry girl for writing this much, but I see me when I was 10 years younger! You’ll be fine! You have so much beauty in your heart and soul, which I see through your posts! Just keep that beauty, and SMILE! if u ever come around in buying a closet, my best advice is to have a closet room alone, separately from ur bedroom, it will make a world of difference for cleaning. thats why we are girls, we worry too much, its good and bad. bs u sure can say something to ur siblings! oo dont worry about raising kids just yet :) as long as you're taking care of urself oo mashallah shayla bait oo ur taking care of ur husband, ull get used to taking care of ur kid :) also ur mother will help when the time comes, oo la tinsain, jojo moo zeeena 7a6eeena filbait! he's a parent too! oo sweety, hathi ur mom. ana my mom lamma t7in 3alay wayid agoollaha "maaaaama inzain bessich 7annaaaa t7ineeen t7ineeen waaayid! WAAAY A7IBICH!" waboos'ha 3ala ras'ha ;P ya3ni ill tell her how i feel bes i try not to hurt her feelings.. do the same, she's ur mother and ull just be more angry at her if u keep it inside! and last, you should be there for ur brothers and sisters, bes mo lai daraja inna u forget urself oo u worry about them too much.. try to let them listen to ur problems.. ya3ni lama u feel bad call ur sister up and be like "i dont feel good :( somethings bothering me" oo she'll be glad to listen even if she can't give advice.. at least someone is listening.. oo la tinsain if u ever need anything u can always email me oo ill give u advice :P heheh also if somethings bothering u u can talk to ur mom.. i tell my mom everything that bothers me oo sub7an Allah the mother knows how to make u feel mirta7a! and ur husband too, he's ur partner for life, don't forget that.. before he's ur husband, he's ur friend! anyways :* mafeech illa il3aaafya oo cheer up okay! hope u feel better! Don't worry about your brother and sister, I have your problems in my back pocket. Thank you india.